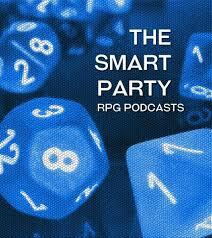 If your memory can stretch back to those dim days before Christmas, you may recall that we had a showdown at Dragonmeet with Baz and Gaz, the hosts of the What Would the Smart Party Do? podcast, about whether there is too much Cthulhu in gaming. Not that such friendly debates are about winning or losing, but I feel moved to remind you that we ground them into the dust. Baz let Gaz take the gag off for this episode. This week, the Smart Party lads have released a new episode talking about their love of Unknown Armies. It’s a neat overview of the game, and complements the Unknown Armies episode we put out last year rather nicely. If you’re a fan of UA, want to learn a bit more about the game, or simply fancy listening to Baz and Gaz talk for an hour, this is an episode worth downloading. Thanks for that. I listened in to your UA cast after we had done ours. Enjoyed it very much, despite being no more than fine particulate matter these days.